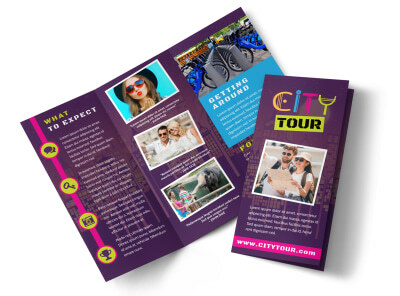 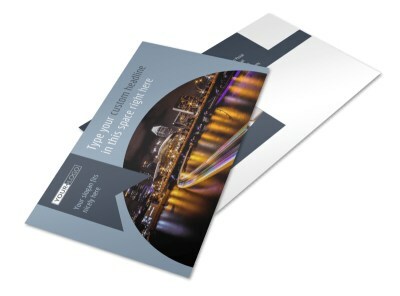 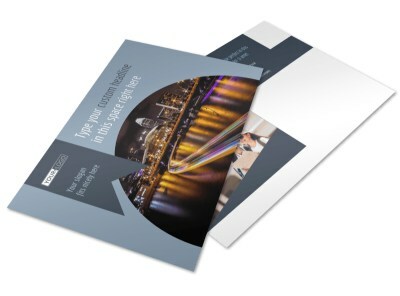 Customize our City Tour Brochure Template and more! 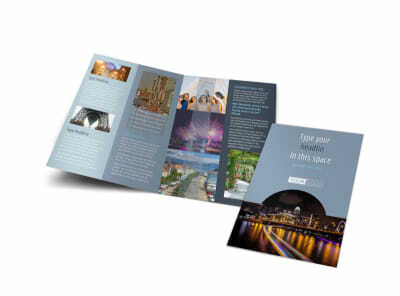 Show prospective tourists what they're missing with city tour brochures customized using our editor and templates. 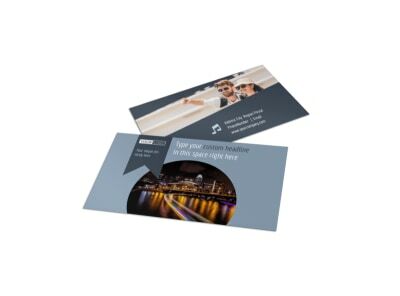 Upload high-res photos of local landmarks, must-see attractions, and other venues, and then add custom text to entice visitors to stop by and explore the city. 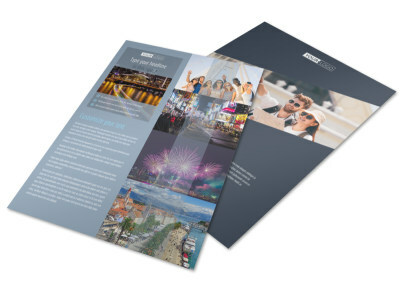 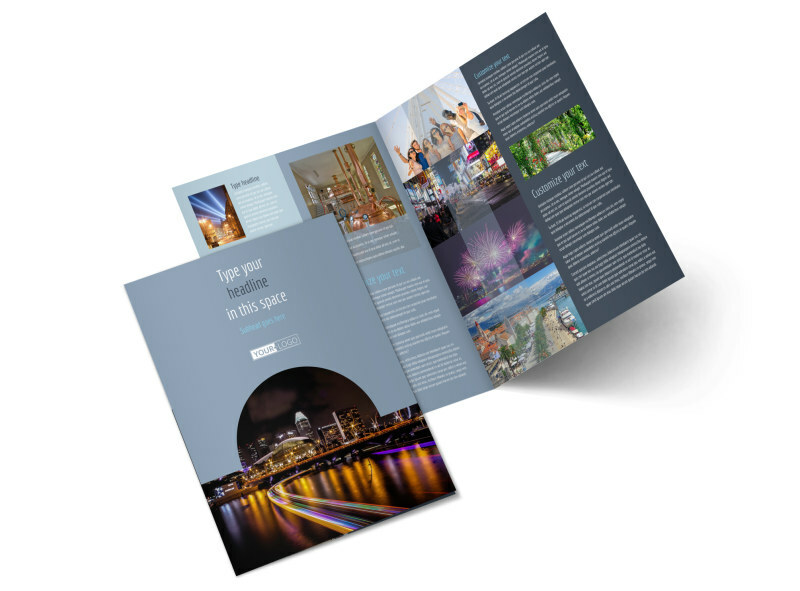 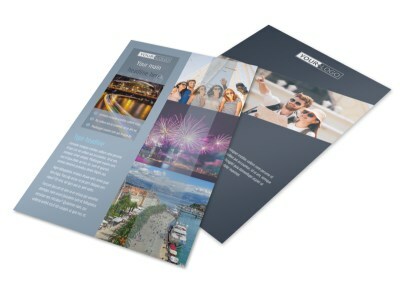 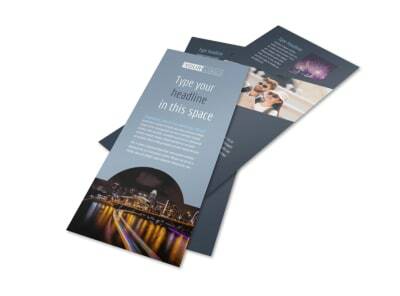 We offer printing of your brochures to give them a professional feel in tourists' hands, or you can print them yourself from any location for immediate use.